Microsoft doesn't talk publicly about its new console, which is likely to hit shelves in America late this year or early next. But four unrelated games industry sources have all confirmed the look of the development hardware to Kotaku. The question isn't if the Durangos are wearing their referee shirts now. The question is why. Discouraging Leakers: A few weeks before Microsoft rival Sony revealed its PlayStation 4 to the world, the world got to look at the PlayStation 4's controller. That look came courtesy of photos of the controller leaked to outlets such as Kotaku. The PS4 controller is black, as were the ones whose images leaked. Black controllers are hard to tie to specific owners. If everyone—every game developer, publisher, marketer, researcher, enterprising mailman, etc.—who has a controller has a black one, then any leak of that controller is untraceable. But if everyone who has the next Xbox's controller has one with its own special black and white stripes? And if those strips vary? Then any leak could be traced, to some extent. Only a person who doesn't mind obliterating the relationship between Microsoft and the intended recipient of the controller is going to leak a photo. The only problem with this theory is that the stripe patterns may not differ across these devices. The only way to confirm that is to get two people to compare their controllers or to compare two controllers ourselves, something we haven't been able to do. And if those two are the same, maybe there still is another variation out there. Which potential leaker would take the chance that each controller was identical? Baffling Observers. 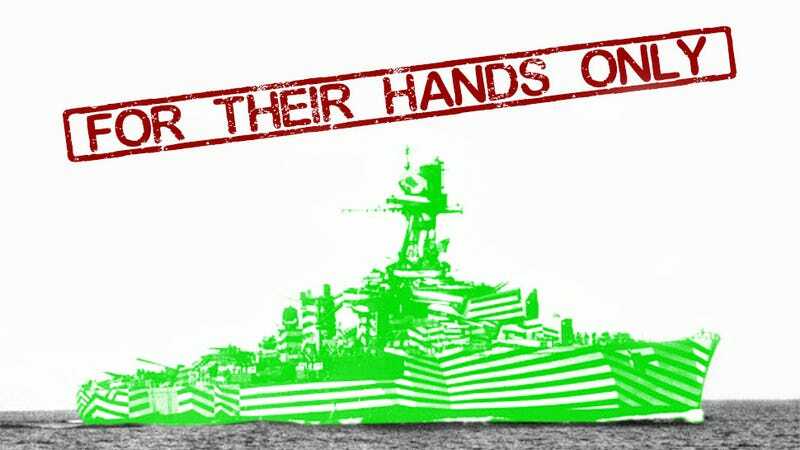 During World War I, the British military painted warships in zany black and white patterns similar to those on the Durango's controller, console and Kinect. Those stripes, referred to as "dazzle camouflage," were designed to disguise some of the ships' traits. The stripes made it harder to assess the ships' size and speed. Modern auto makers use similar patterns to obscure the contours of new cars that might be spotted during a test drive but aren't officially announced yet. The patterns can make it hard to ascertain the edge of a spoiler. The patterns can also confound a camera's autofocus. Instead of discouraging leakers, Microsoft may simply have been trying to apply some dazzle camouflage of its own, but to obscure what? The console war isn't exactly World War I, and there aren't many candidates out there who'd be ready to clone Microsoft's controller, let alone the shape of its Kinect and development console. Certain curves, however, might seem proprietary enough that they'd rather the public not see them yet, not until Microsoft is ready to show its new Xbox off, finished, non-Zebra paint job and all. Microsoft's subterfuge would seem warranted if the next Xbox was some wild new shape. Don't get too excited. There's no sign that the new console is shaped like a conch shell or that its controller resembles, say, a TV remote. The controller, according to Kotaku sources, actually seems quite similar to the current Xbox 360 one. Same two analog sticks in the same upper-left/lower-right position, same positioning of the d-pad and face buttons and forward and back buttons. Triggers. Bumpers. Top-center power button. It all seems to be the same, though we can't tell if any of these buttons have been improved—if, say, the d-pad responds more crisply, if the triggers pull more deeply, and so on. The new controller, as we reported more than a year ago, is apparently a little smaller than the existing 360 one. It's still the same basic shape, perhaps with refined contours. It's more or less what people are used to. The new controller doesn't have any major new input interfaces either, from what we understand. No new buttons and certainly no added screen like the Wii U controller has nor a baked-in touchpad like the PS4's. We're not expecting to be able to show you the new Xbox's controller any time soon. You can read specs on the machine, if you'd like. Otherwise, just sit tight. By June's big E3 show, if not sooner, we'll surely know what the next Xbox will look like. It's a safe bet that it won't be called Durango by then and won't look like a zebra if or when it comes time for you to get one.